Imagine you are in the Scottish highlands! Gorgeous mountains surround a glistening lock with strange dark depths. A rainbow shines in the sky above a haunting castle ruin. The crisp air smells of pine forests and peat smoke while in the distance is the evocative sound of…a mastodon with bronchitis? Swans being murdered? An eldritch spirit caught in an industrial machine? No! You listen more carefully and the screech swells into splendid martial music and suddenly your heart is filled with bravery and your eyes with tears. The bagpipes can somehow produce a horrible grating rasp while simultaneously shaping it into the most dulcet melody. The sweet yet troubling dichotomy lies at the core of Gaelic music. Yet bagpipes probably do not originally come from Scotland or Ireland (although you probably should not bring this up to drunken Scots or Irishmen). 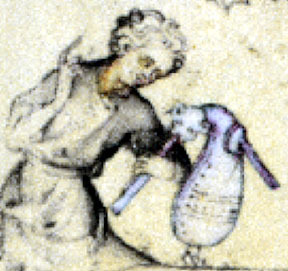 If you are wondering where bagpipes originally came from, you are not alone. For a long time musical scholars, nationalists, historians, and classicists have argued about the origins of the distinctive woodwind instrument. The great Scottish bagpipes have been famous since the eighteenth century (and are now nearly synonymous with British marshal might during their ascendant era of world empire). The Scottish bagpipes evolved in a logical progression from a medieval antecedent, the smallpipes, which were played around Europe, the Mediterranean basin, North Africa, the Persian Gulf, and India for centuries. 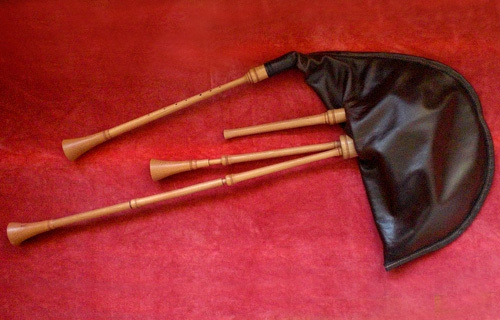 The smallpipes are recognizably bagpipes: a reed instrument is connected to an air reserve in the form of an animal skin bag. Various bones with holes hang from the bag for the purpose of adjusting tone and pitch. You can listen to some pretty musical samples of these medieval smallpipes here. The issue of where these pipes originated, however, becomes more contentious. Various groups proudly assert national origin or fight over obscure textual or visual references. At present, the question has no certain answer, but by going back further and further into history a plausible outline takes shape. From the 12th century on bagpipes appeared frequently in art and sculpture from across Western Eurasia. We even have some of the actual instruments! Before that time, during the dark ages, the bagpipes appear to have been largely a peasant instrument and, as such, they are not referenced in the exiguous writings of that era. Unfortunately skin sacks, bellows, and reeds quickly deteriorate but a number of bone pipes have been found in Scandinavia and Western Europe which could have been parts of bagpipes (I have heard Viking re-enactors at the American Museum of Natural History, attach these pipes to bladders and play whistle-ghost tunes on them). 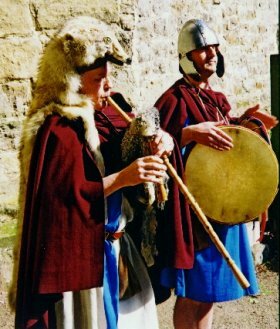 It seems certain that the Romans had a version of the bagpipe, the tibia utricularis, which was a woodwind instrument played from an air-reserve bag made of hide (although it is not clear how close it otherwise was to the medieval smallpipe). The legions carried this intimidating instrument around the empire and it is even referenced in the history of Emperor Nero’s life (it seems the dark autocrat played the instrument and may even have called upon it to save himself from a mob), however we have no pictures or examples of the Roman instrument—only textual citations. Most Roman musical instruments came originally from Greece, and it seems the tibia utricularis was no exception. In his 425 BC play The Archarnians, Aristophanes (apparently) references a bagpipe-like instrument. One of the bombastic characters orders the band to play by shouting, “Musicians from Thebes, pipe with your bone flutes into a dog’s rump.” Seemingly this device consisted of a sewn-up dog skin which was attached to a reed and to various bone chanters (“flute” being a famous translator’s shorthand for the ubiquitous woodwind reed pipe of classical antiquity). Classics scholars generally agree that this was a reference to a bagpipe and not just a ribald insult to Thebans and dogs. The very first (possible) references to the bagpipe however long predate 5th century Greece and go back to the Fertile Crescent where civilization itself first rose from the mud. The Hittites, the bellicose masters of the chariot, may have been the first people to leave a record of the bagpipes. 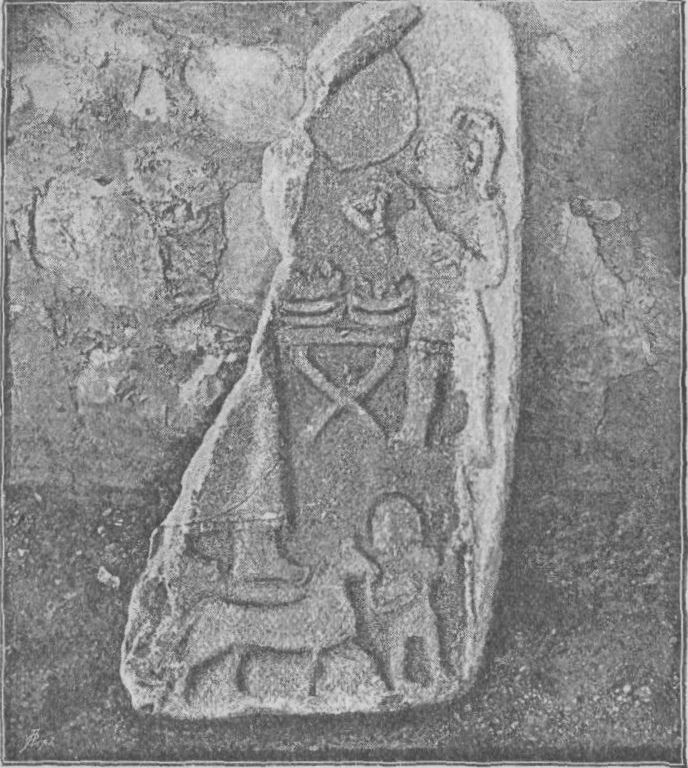 A weathered Hittite carving from Eyuk appears to show a musician blowing into a sack. Additionally there are illustrations of military divers breathing from skin sacks which date back to that era. A clever reader will note many conditional words strewn through the previous paragraph—the evidence is not 100% compelling—but it is what we have. Hmm? Surely that poor Hittite isn’t just blowing into a stomach? Before their empire collapsed in the great crisis of the 12th century, the Hittites got around. They could have appropriated the bagpipes from Sumeria, Egypt, the Mycenean palace kingdoms, Persia, or even the Harappans. Maybe they invented it themselves when they were thinking up the chariot. We have gone as far as we can without more archaeological evidence. 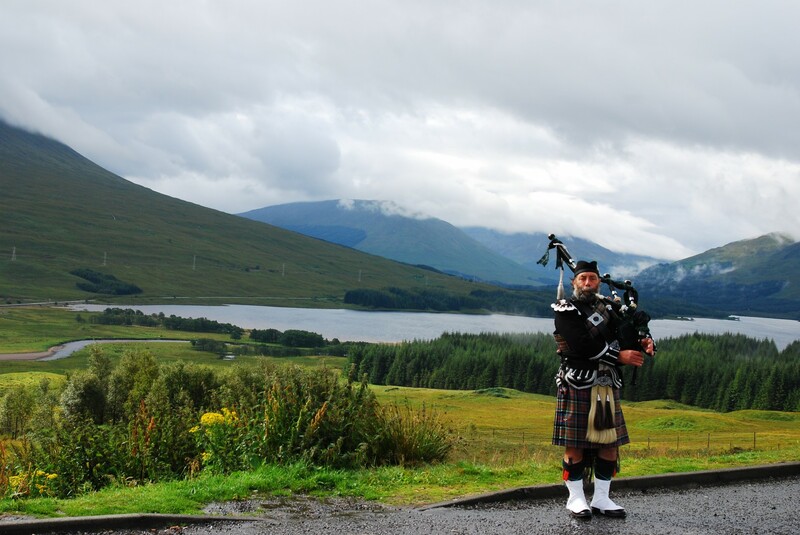 The mystery of where bagpipes come from goes cold about three (and a fraction) millennia ago. 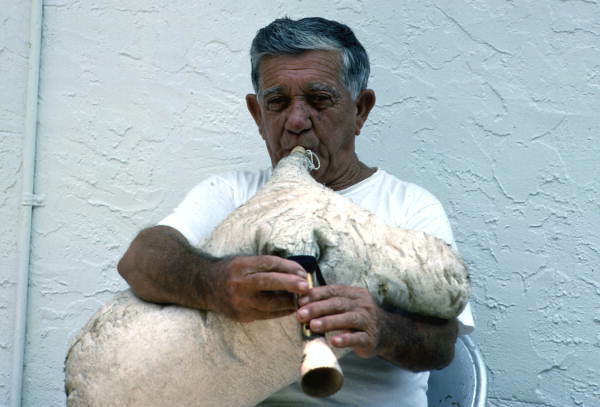 Considering how dismissive literary sources have been about the peasant instrument, perhaps bagpipes were being played before civilization arose—or maybe the Greeks invented them (like so many things). What is certain is that the plangent music of the bagpipes has appealed to people for a long time. Relax, think about the mysterious vicissitudes of history and enjoy some bagpipe music! Hi Mr. Beekeeper, thank you for your fascinating post. Your readers might be interested in knowing that you have posted a picture of the late Nikitas Tsimouris, who was born in 1927 on Kalymnos in the Dodecanese, and emigrated to Tarpon Springs, Florida. In 1991, Mr. Tsimouris was the recipient of the National Endowment of the Arts heritage Fellowship Award. There is also a wonderful documentary “Zampogna, the Soul of Southern Italy” by David Marker, which can be seen on youtube. The drone of the bagpipe is associated with so much instrumental folk music, especially that of Christmas. It has now been supplanted in many instances by the accordion, which for better or for worse has been adapted to its repertoire. Such is progress. I really appreciate you providing me with a name to put with the image. I looked Nikitas Tsimouris up on Youtube and found a little biography as well as some clips of him playing the tsabouna (the traditional Greek bagpipe). The music is really beautiful and it sounds a lot like the pipes played by the Viking reenactor which I mentioned above (albeit the tsabouna played in a lower register and was much happier). I now wonder if the bagpipe didn’t just come from Greece. An ancestor of mine- William Dixon wrote the manuscript for the first notation of Bonnie Bobby Shaftoe for the Northumbrian smallpipes. The m/s is in the AK Bell library in Perth. The words were Canny Willie Forster, initially. Pretty cringe making. Willy Forster was a politician, I think. The Shaftoes were in the same area as the Dixons and the Forsters. They might have been in South Ingoe, near Stamfordham. Many of these families had mariners in them. I can’t believe how far north Stamfordham is–you’re closer to Denmark than France. Oh, I don’t live there. I was talking about ancestors in the 1700s. Here is a link to the Zampogna film, it is longish but a wonderful film that is very worth watching — even in snippets, if pressed for time. The internet is wonderful. Of course Southern Italy and Sicily were until the Middle Ages considered “Greater Greece”. You have to think that the bag pipe was played wherever pastoralism originated — the Near East and Mediterranean, probably (just guessing). Ooh! Thanks for the research. I will watch the film later this week and it’s good to know the true history of Bobby Shaftoe. Thanks for the enthusiasm: it’s crazy how widespread bagpipes are and how long they have been part of history (to say nothing of their fame in Scotland). Speaking of Scotland, enjoy Tartan Day tomorrow! It is interesting that “Bobby Shaftoe” is one nursery rhyme, where we can really trace the trajectory of — from political campaign slogan to a what Alan Lomax called a “baby bouncing song” in a short timespan. Hate to appear to monopolize — but here is a fantastic clip an enormous bagpipe, made from a large animal, played by David Marker: http://youtu.be/9VI8ue9SkWM at the Zampogna Drone Magic Bagpipe Festival that someone sent to me.